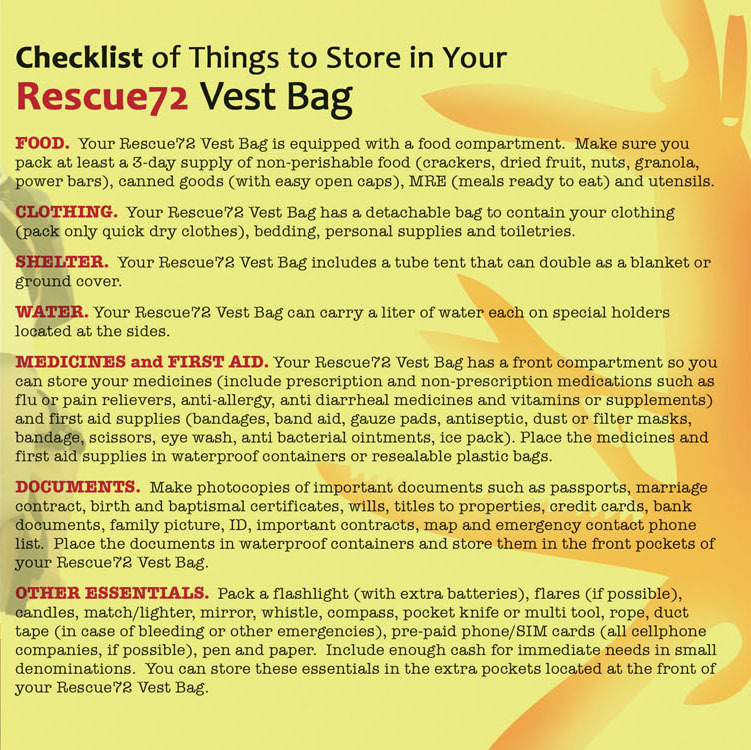 Disaster prevention and preparedness is the best and most practical solution perhaps in order to safeguard human lives during an eminent disaster. This is the consideration that a group of people called Rescue72 had when they created the project for the Rescue72 Vest Bag. 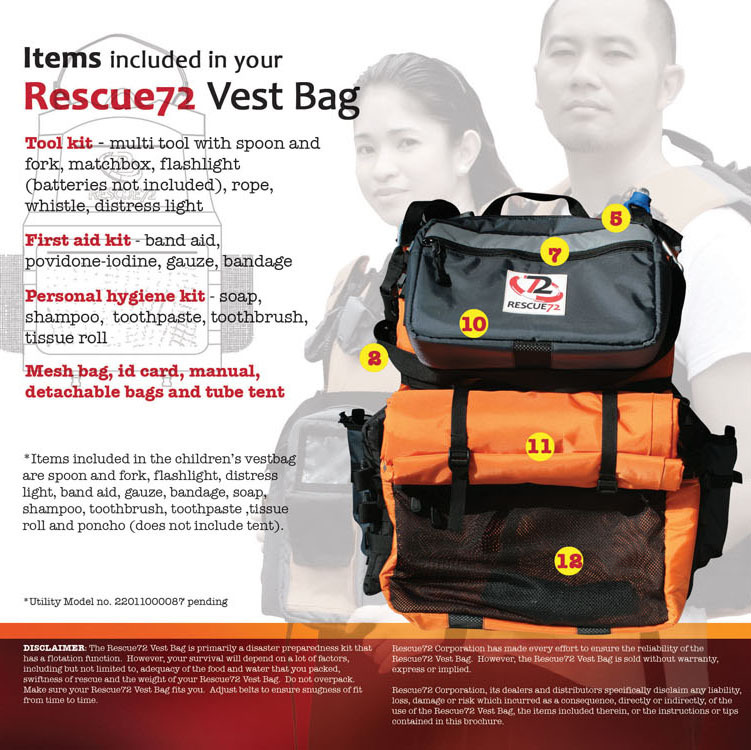 The Rescue72 Vest Bag answers the need during a disaster and will help the Filipinos be prepared . It will also help a person survive for 72 hours until help comes. More importantly, it will equip rescue workers with the capacity to find, help, and aid disaster victims should calamity strike. Rescue72 team devised a disaster preparedness kit designed to meet the challenges of climate change and natural disasters. 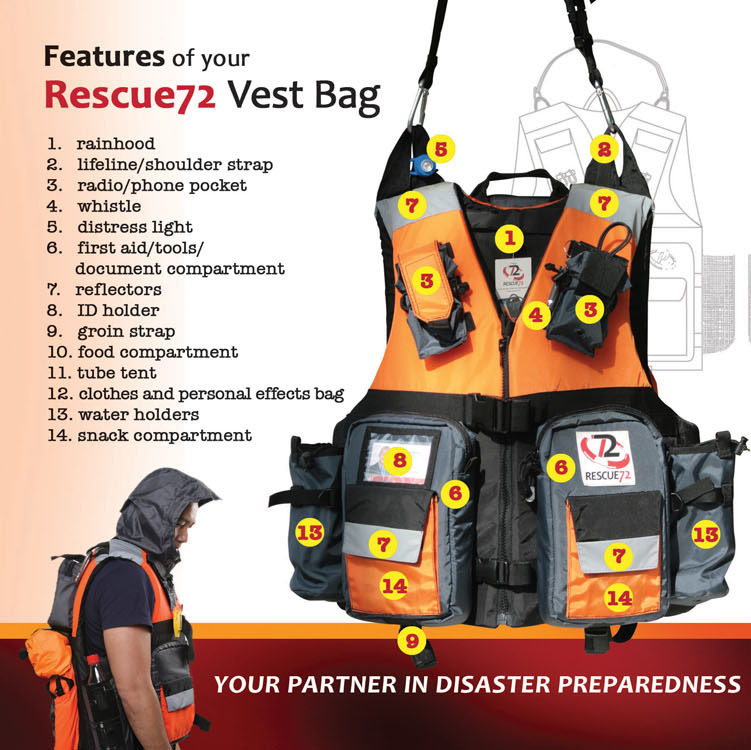 The Rescue72 Vest Bag acts as a protection and flotation device that holds all necessities for survival. The new product will soon be launched this coming July 2011. We will update you with more details and a review of the product soon. nice one, would love to have one. I have a bag ready already w/c is equip with almost all the things we need, especially a zippo lighter for a easy fire starter to keep us warm or to heat our food.